The Ojai Vineyard » July 2nd – Ojai White! Middle Feast! Francisco Leon! July 2nd - Ojai White! Middle Feast! Francisco Leon! 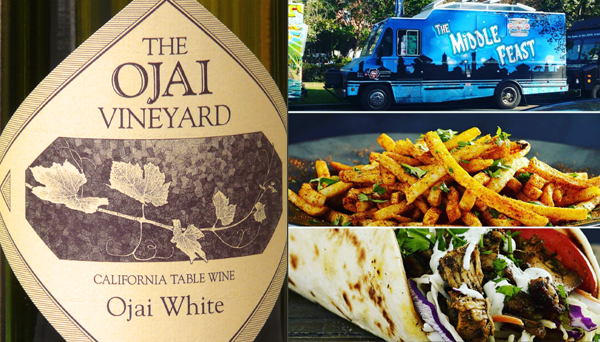 Its about time you meet Ojai White, think of the quality and value of Ojai Red, just as a white wine! Come celebrate our Ojai White this Saturday, July 2nd from 5 to 8pm! We will be teaming up with an all time favorite food truck, The Middle Feast and music from Francisco Leon! The Tasting Room becomes a wine bar, offering our new Ojai White as well as four current releases and six wines from our library! Contact us by email TastingRoom@OjaiVineyard.com or phone 805.798.3947, with any questions.